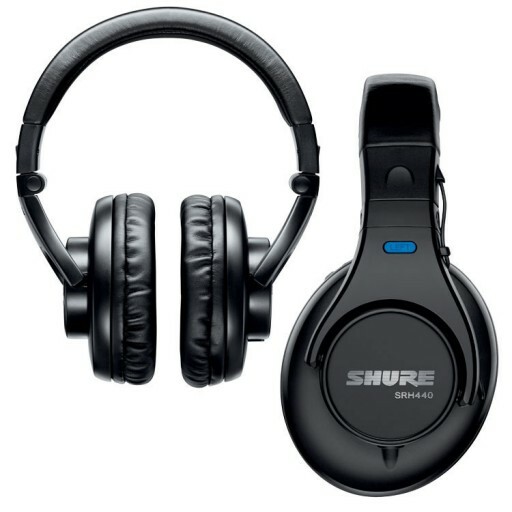 The SRH440 Professional Studio Headphones from Shure provide exceptional sound reproduction and comfort. Optimized for home and studio recording, SRH440 headphones reproduce accurate audio across an extended range. Impedance, power handling and sensitivity are all calibrated for professional audio devices such as DJ mixers, mixing consoles, and headphone amplifier. Includes carrying bag and threaded 1/4" (6.3mm) gold plated adapter.